Equipment from NATO will be transferred to the Ministry of Foreign Affairs of Ukraine and the Security Service of Ukraine. 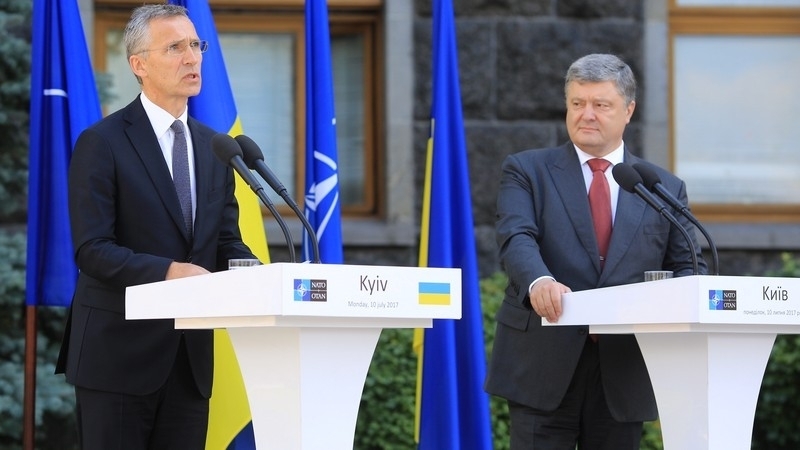 NATO will provide Ukraine with equipment to determine the sources of cyber attacks, NATO Secretary General Jens Stoltenberg reported at a joint press conference with Ukrainian President Petro Poroshenko in Kyiv on July 10, 2017. “Cyber security is a sphere in cooperation with Ukraine that we are increasingly focusing on. We are now in process of providing Ukraine with new equipment, for some key governmental institutions and power structuresto investigate who is behind the cyber attacks," Stoltenberg said. President of Ukraine Petro Poroshenko specified that the Security Service of Ukraine, the Ministry of Foreign Affairs of Ukraine and a number of other ministries will receive the equipment. “Departments will receive specialized equipment and means of communication also for preventing and identifying cyber attacks," the President stressed. On July 7, the Deputy Head of the Presidential Administration of Ukraine Dmytro Shymkiv reported that 10% of private, government and corporate computers had been disabled after the hacker attack with use of Petya virus. Half of the infected government and commercial computers had been completely out of order.